BASKETBALL DRILLS: MID-RANGE SCORING OPTIONS by Jefferson Mason was originally published by drdishbasketball.com. Dr. Dish Basketball is excited to bring you another great Drill of the Week. In this basketball drill, we used the Dr. Dish All-Star shooting machine away from the hoop to receive game-like passes and also to incorporate some finishes at the hoop. Receiving the pass at the free throw line or elbow areas can oftentimes be a stressful place for players to catch the ball. It’s a spot that coaches don’t usually train to score from. The best players in college and also on the professional level can score in a multitude of ways in this area. In this drill, we will be receiving the pass and planting our inside foot each time and depending on where our defender is, we will make attack them accordingly. The All-Star is the only machine in the world designed with the swivel net technology to train post play and also make game location passing. It’s undoubtedly the most efficient machine and the most analytical based machine available as well. I set a timed goal in this drill to push myself and to hold myself accountable. The Dish was set on tempo 7, so I had to hustle to my spots and keep my game speed throughout the entire drill. Check out the video below to see how this scoring action can help you score more points each and every game! The first few times through we demonstrated the hard dribble, shimmy shake with the back shoulder, exploding into your shot after the defender is frozen. The most important thing to remember is to sell the defender on the shake. The subtle hesitation will slow them down and allow you to explode into your shot. The best time to use this move is when the defender is trailing you hard. Players like Steph Curry and Klay Thompson use their bodies well when performing this move. Often times the defender will be out of control and run into you and commit the foul and that will lead them to be passive the next time through. Try to switch up the ways you score by attacking the hoop or shooting the jump shot. You never know what the second line defense will do so its’ good to be ready for every situation. The second move we worked on was using the hard dribble with the inside foot and spinning back the opposite way for the shot. If the defender is trailing you hard again or even decides to try to beat you underneath the screen, you can freeze them with the hard dribble and then accelerate after the spin back move. 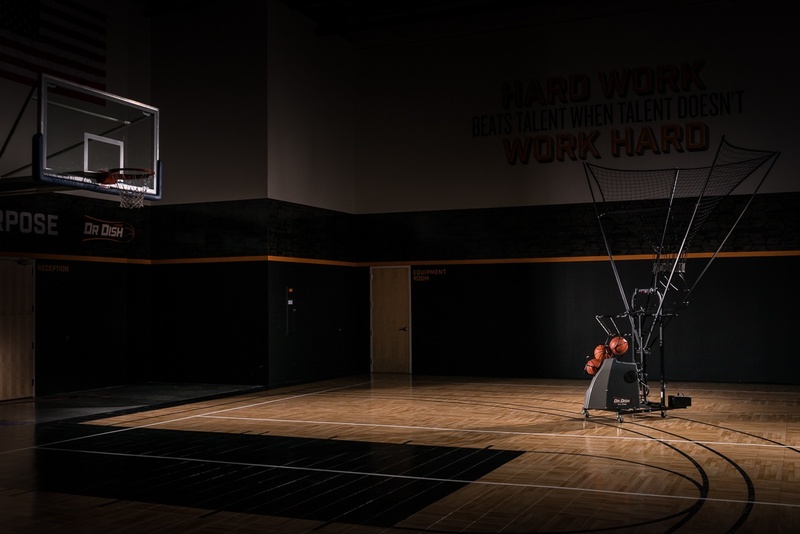 The goal is to be quick and change directions quickly for an easy mid-range shot. Once again its important to work on scoring in a variety of different ways with this move because you never know what the second line defender will do. The last move we worked on was the exact same move as the previous one while adding in a change of direction to attack the basket. This is a great option if you don’t have enough space to get the jump shot off. It’s essential to stay low and explode towards the hoop when changing directions. Also, it’s important to work on a variety of different finishing moves around the rim so that you can be versatile during game situations. These are all moves that can be perfected through purposeful practice. Make sure that you have attention to detail with every option and use these moves to keep your defender off balance. At Dr. Dish Basketball, we’ll continue to provide you will top level basketball drills and skills. And as I always say, make sure to train hard, train smart, and train with a purpose. Let’s get it baby!